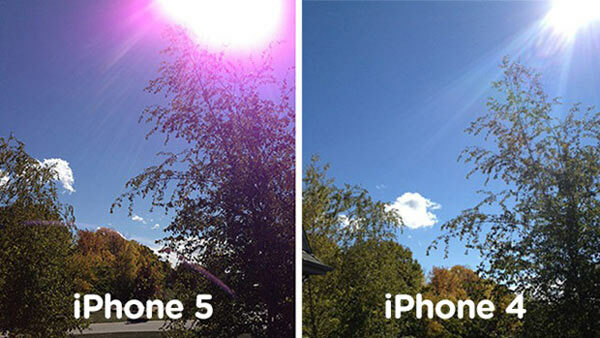 Apple says the violet effect on photos of the iPhone 5 is normal, WTF!! There is no way that the company Apple quiet breathing. Its users, either. 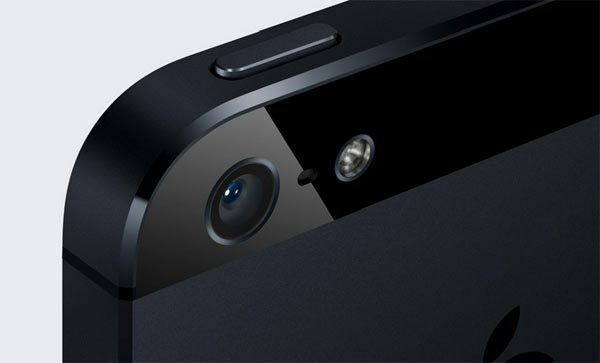 With the arrival of the new iPhone 5 problems have not stopped succeed. First there was the disaster Apple Maps, a mapping service that came to replace Google Maps , a tool like YouTube , was struck down the operating system of the Californian firm. Then began arriving units of the iPhone 5 allegedly damaged. Presented, in the opinion of users, scratches and bumps on the surface of metal. But that's not all. And in recent days, iOS 6 has led to problems of connectivity Wifi , battery incidents and even in receiving email. In any event and whether all these drawbacks were not enough, the company Apple is now receiving complaints from other industry users to take pictures with the camera in his new iPhone 5 detect an annoying purple aura in snapshots. The case has its substance. The medium GSM Arena has been commissioned to provide a comparative snapshot of it captured by an iPhone 5 and an iPhone 4 . As you can see, the results would be almost identical if not because photography captured by Apple's new phone is displayed completely tinged with purple. This problem has been encountered in situations where the light source is outside the frame of the camera. What Apple says about it? Well, surprisingly, the company has responded to a post made ​​by a user who has experienced this issue when taking pictures. In consultation with his team of engineers, the customer service agent tells you that the camera's behavior is normal. Recommends, in any case, that at the time of capture images, place the camera at an angle completely away from sources of light as bright as the sun, whose effect on the snapshots is the famous purple layer. It is clear that poor Matt (that's how they call the guy who decided to take the bold venture to refer a complaint to Apple) was perplexed at such a response. And although it seems that Cupertino has been some internal changes after the demise of Steve Jobs , it is clear that the department is absurd excuses at war. Should be noted, at this point, that the deceased mentor Apple already said at the time - when the problem of stalking Antennagate - that users not fastened well the phone. Days later, Apple had to was facing complaints from iPhone 4 buyers free cases spreading to solve the problems identified in the terminal: a single incidence on the architecture of the device itself which led to the withdrawal of thousands of units of the iPhone 4. This is reality.